2018 Annual Holiday Open House, Silent Auction and Boutique Fundraiser - Peter Zippi Memorial Fund, Inc. This year’s event will take place on Sunday, November 11th, between 11am and 4pm, and we hope to see many of you here. Renew friendships, compare photos, listen to speakers, and have a little lunch with us. You can help support PZF for another year by shopping at our Boutique and Silent Auction and purchasing raffle tickets for a number of special prizes, or simply by making a donation. Dedicated to helping animals since 1977, the Peter Zippi Memorial Fund is focused on both animal rescue and spay/neuter assistance. We rescue abandoned cats & kittens as well as those that have special needs at shelters. We provide them the care they need to be ready for adoption and then find them a new loving home. 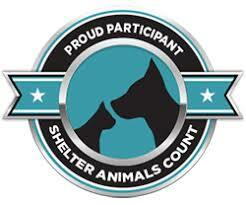 We also provide assistance for spaying or neutering of domestic and community (i.e. feral) cats, dogs and other animals. Peter Zippi is a no-kill animal rescue organization. As anyone who has ever been around a cat for any length of time well knows cats have enormous patience with the limitations of the human kind.